A Perfect Day at Belmont Bay! The weekend weather in the DC area has been totally unpredictable over the past couple of months. 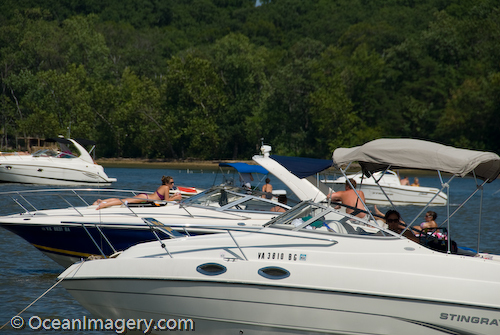 It seems that these freak severe thunderstorms with extremely high winds have become the norm for Sunday boating. On several occasion now, myself and others have been caught up in some very nasty conditions while out on the Potomac. On one such Sunday we had to batten down and ride out a bad storm for almost two hours while anchored… Not Fun! So, when you do finally get a good storm-free weekend you really have to enjoy it!! Here are some pictures from a Sunday afternoon two weekends ago out on the backside of Belmont Bay. As you can see… everyone was enjoying the weather for a change!! Last month, while Julie and I were in North Carolina for Alice and Carl’s wedding, we had some extra time to take in the sights of downtown Charlotte. One of the better known attractions of Charlotte is the Discovery Place Center right on Main Street. Along with the dinosaur exhibit and the indoor rain forest the center was also hosting a new exhibit called ‘A Day in Pompeii’. 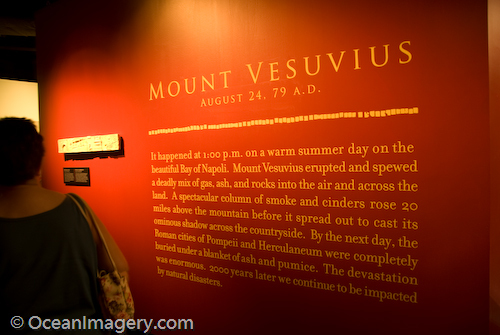 It was a very interesting and educational exhibit detailing the events of a Roman city that was buried in 79 A.D. by a catastrophic eruption of Mt. Vesuvius in Italy. The history of this ancient city remained hidden and forgotten until archeologists began to excavate the site in 1748. Here’s a small hand full of photos from the exhibit and our day in Charlotte… Enjoy! I’ve just finished updating some of the apps/plug-ins for Word Press and as a result I’ve also found several new and very slick features to help populate thumbnails in my posts. I spend quite a bit of time searching the internet for new scripts and plug-ins to help me with the management of my server and Websites and every now and again it pays off! Just last week I came across a WP plug-in that uses the RSS feeds from my photo sales site (Smugmug) to populate my image galleries to my journal posts. This is so nice… now I only have to upload my images once to Smugmug and I can just link to them over RSS! The weird thing about this plug-in is it’s not in the WP plug-in directory… it was written and distributed by Adam Tow on his personal Website.